A cake’s taste and design matters as much as the venue or music. Everyone will see and taste it, as this particular type of dessert usually marks an important landmark in someone’s life. Moreover, the cake moment is, in most cases, the most important part of a party. Everyone, including the star of the event, has expectations in terms of taste, look, and feel. If you don’t already know where to start managing this task, we have compiled a list of several pieces of advice on choosing a cake that is appealing, appropriate to the event’s concept, and tempting for the guests. The first, and most important step, is to take into consideration your budget, the number of guests, the setup, and even the weather if you’re planning an outdoor party. A fancy design will cost more if you’re planning on serving a party of 50+ guests. Moreover, an ice-cream cake in the shape of a baseball might sound perfect for your child’s picnic birthday party, but will the guests be able to eat it the cake before it melts? Let’s look over the most important outside factors you need to take into consideration. Creating a budget plan is a crucial step of any cake search, as it determines what kind of bakeries you will approach. You can find products with prices ranging from $17 to $150, depending on size, shape, format, and occasion. Bakers charge per slice, working time, cake, or number of guests. It’s important to thoroughly research a bakery that will offer you a wide range of options when it comes to both design and price. For example, Portos cakes prices are proportional to their sizes and designs. Being a family-owned bakery with plenty of tradition and an ever-growing loyal customer base, they have learned to always adapt to the customer’s request and deliver spectacular and delicious cakes that will surely impress guests while not emptying a bank account during the process. You will need a slice for everyone and a few backup cake pieces in case anyone asks for more. Traditional cakes for large events might be more complex, featuring several smaller layers. Also, cupcake designs are adjustable to your needs and the number of your guests. The shape of the cake might change based on the event’s circumstances. You should know how the setup will look before ordering the piece de resistance of the evening. That’s because a basic design rule states that the cake’s shape should match the table’s. A square cake on a round table might seem too large or too small. A little rain or wind won’t stop your event. But the season often influences some of the cake’s ingredients. For instance, cakes for outdoor summer events should not include ingredients that can melt like cream cheese icing, buttercream, and meringue. Fondant-covered cakes are the most convenient option for summer events as they don’t need to be refrigerated. Winter is more versatile, as cakes don’t usually include warm ingredients. However, a rum-based filling will win the heart of more guests during the cold winter months than a simple fruit-based cake. The devil is in the details. When it comes to a cake’s design, the details depend on the event’s concept, the host’s and the guests’ flavor preferences, and so on. 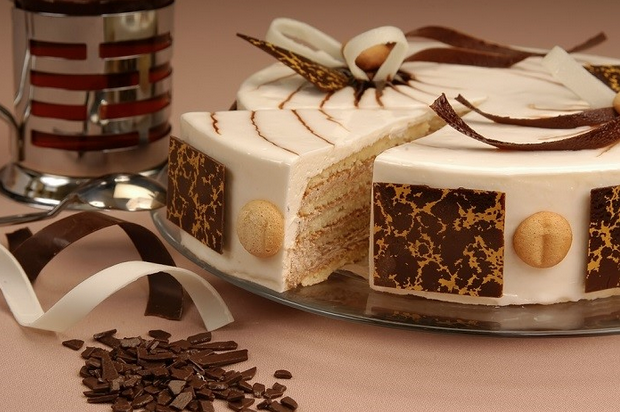 The type of activity can also influence your decision between an elegant design or a playful and colored cake. Take your time to brainstorm and find the best cake concept. The theme should focus on style, color, décor, and object specifications. Last-minute changes can result in cakes that aren’t suitable for the guests or host. Do not mix too many themes as the cake should tell a coherent story. Flavors and filings depend on personal tastes. You can choose one or two different flavors or opt for a mix-and-match solution. Ask for a sample of the cake to make sure you’re getting a crowd-pleasing flavor. Even if the sample doesn’t match the final look of the cake, the taste should not change. The most popular icings are buttercream, fondant (heavy but popular for wedding cakes), whipped cream (light and soft, but cannot support any decorations) and chocolate ganache (rich and very decadent). Decorations largely depend on your preferences. Once you make a list of bakers in your area, you should also check if they are available at the time of your event. Before getting down to business, you should ask your baker a set of questions. How early will your cake be baked before the event? What flavors are thei specialized in? Can they bake gluten-free, organic, or vegan cakes? 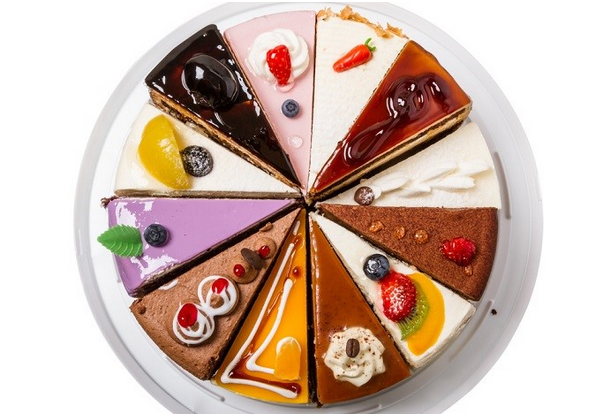 Can you sample a wider range of cake flavors before making a decision? When should you place the order? Are they able to mix colors, play with shapes, add extra elements of design (natural flowers, whole fruits, edible figurines? Can they recreate a photo? If you pick up the cake a day before the event, the baker should give you tips on how to store it to keep the taste fresh. Don’t settle for the first baker if something looks suspicious or you don’t like their offer. Also, don’t take advice from friends and acquaintances. Personal taste can be very different, so you risk not being able to choose the right cake design for your event. Typically, after you give all the details, the baker will call you for a tasting session. You can then adjust your preferences and set a different meeting if necessary. You can also visit cake and bakery events where you can taste products. Take note that you will be eating many sweets, so it’s recommended that you grab a bottle of water and a companion. While taking each piece of information from your baker with a grain of salt, remember that the cake is supposed to impress everyone. If a taste is unappealing to you, that ingredient might have a different flavor at another baker. You should start looking for a cake design at least three months prior to the event. Remember that you will need time to do some research, discuss with the bakers, and visit their shops. Then, wait for your dream cake to be delivered and enjoy the party!